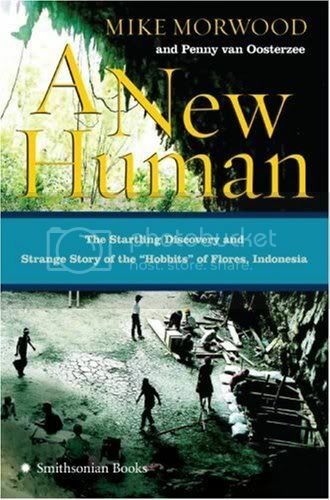 Duncan Graham, a writer based in Surabaya, gives his take on the book The Discovery of the Hobbit by Mike Morwood and Penny van Oosterzee. Another review of the book has been posted on SEAArch here. I liked the way this review talked about the motivations behind the different people in the book – the whole Hobbit drama is as much about cultural and academic differences as it is about the discovery of the skeleton. If you think only the coarse and the crass behave badly and that the better educated have evolved to follow superior codes of behavior, then this book is a revelation. Be you peasant or professor, we are still subject to the human evils of jealousy, hoarding, chicanery, dinosaur-sized egos and all the other sins of Adam. This is particularly so when personal reputations are at stake and someone else is invading our territory. You can understand their sensitivity; if you’d built your life and a splendid teaching career on the foundation of a theory that was suddenly undermined and destroyed by an upstart from afar digging on your patch, you’d be fighting to discredit the discovery. Or check out the SEAArch bookstore for more books on Southeast Asian archaeology.